Some time ago, I wrote a post that laid out what I want from a piece of dashboarding and data visualisation software. We had just finished going through the process of selecting a software platform and I'd intended to lay out over a series of posts the different options that I looked at and explain how we made our final choice. Apart from a review of Excel Services (summary: it's sort of ok, but you can do much better for the money), the series didn't get very far. Due to the overwhelming volume of emails Despite a complete lack of emails accusing me of being a lazy so and so who doesn't finish what he starts, I'm going to quickly wrap up the conclusions here. First, the contenders. Some of these I looked at for longer than others and I can guarantee a few first round knockouts. Ladies and gentlemen, in the blue corner etc. We'll start with where I started the process - looking for a cheap but capable solution, that would work for a medium sized business. I'm not looking at six figure software budgets here, or at running the back end for the Tesco Clubcard. With that in mind, I went looking for an open source solution and found Pentaho. There are other 'free' platforms, including customized Google Docs, but all require programming and we need a drag-and-drop front end that analysts can use to build dashboards. For that requirement, Pentaho seems to be what's available. First impression is that it's not bad at all. A little rough around the edges as you might expect from an open source project, but I had some simple dashboards up and running on a demo server pretty quickly. These demos were enough to show a few senior managers and to explain why we should be buying a dashboard platform rather than building our own, but then things started to go wrong. If you're going to do anything more than a few simple charts, then you're going to end up doing some programming, which means as an analyst that you need IT's help. IT's help brings change requests and (long) development time-lines and all the joys of not being able to put data labels on a bar chart by yourself. Scheduled refreshing also looked like it was going to be trickier than it needed to be. Once you're building and customising with your own IT department, you're incurring extra costs, so it was off to the commercial software world to see if off-the-shelf was a better idea. It was. When you head for a commercial piece of dashboard software, you find out that there are at least tens available and probably hundreds. Most are rubbish. You also get into some very frustrating conversations with salesmen about licencing costs, but more on that later. Let's eliminate a few contenders quickly here, pretty much as quickly as I dropped them during the assessment process. I've already reviewed Excel Services in detail so won't go through that again. For the price, it isn't good enough and it's awkward to use. Analysis Services is much more capable, but it's got that Microsoft feel. You know what I mean; it makes things hard that should be easy. Options are hidden, it's all tied into SharePoint (which I hate) and you end up writing loads of custom SQL - which will be a nightmare to maintain - in order to work around things that Microsoft either doesn't want you to do or hasn't included as standard. The final dashboards also feel like a tool for analysts rather than a tool for marketing managers and if you're not at least a little geeky, they can be quite intimidating. Rejected. LogiXML and Microstrategy were very much the also-rans in this race. LogiXML, because it's bloody awful and Microstrategy because it's just not good enough to be up with the front runners. Here's a LogiXML demo dashboard. Apparently they're proud of it and if you can't see why that's a problem then go ahead and buy a copy! I'm being deliberately harsh because they keep sending me junk email. Petty revenge is sweet. I'm sure it works ok, but the looks are five out of ten at best. I did download the demo but it took ages to install and the dashboards are slow to load on a browser too. All in all it just didn't feel like a smooth, slick piece of software and I couldn't see the visuals impressing a marketer. Another one bites the dust. Now we're onto the serious contenders: Spotfire, Tableau and Qlikview. Spotfire first, because it didn't make it quite as far as the other two. Spotfire is undoubtedly a tremendously capable piece of software but at Brilliant Media, we're building dashboards for marketers and they need to present data, more than they need to make it available for investigation by an analyst. With that purpose in mind, Spotfire suffers from some of the same issues as Microsoft Analysis services. It's less awkward than Analysis Services, but in use it feels like it was built for an analyst. It's the sort of software that would be great to sit on top of a loyalty card database for an analytical team to use as their tool for day-to-day interrogation. It's not what we need to present relatively top-line data to marketers. Take a look at the demos and you'll see what I mean. It's good software, but not for us. 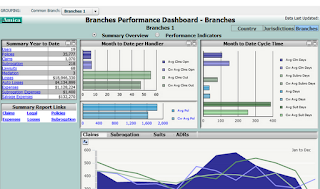 Spotfire has another major problem and that's Qlikview. If I wanted what Spotfire does, then I probably wouldn't buy Spotfire, I'd buy Qlikview. It's an amazing piece of software. I've been playing with Qlikview demos on and off for a few years and it has a few stand-out characteristics. It runs like lightning and the data engine is fabulous - importing your data quickly and making intelligent guesses about how it's structured. 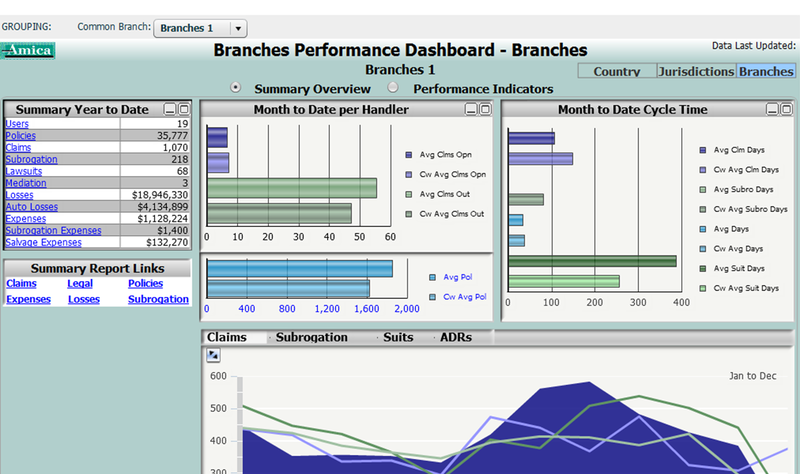 You need ten minutes guidance to get used to how the dashboard front ends work, but once you've got it, then Qlikview is very simple to use. Admittedly there are a lot of options for customising views and you get to them via large, complex options windows, rather than by a quick right click on the thing that you want to change, but fairly quickly you get used to where to find what you want. The positive side of all of these options is that you can create virtually any view that you might need. Qlikview was a runner up though, based on cost. Actually it might have been dead last based on cost, because I never managed to find out how much it is. One of my criteria for software was transparent pricing and Qlikview's reps are a nightmare to talk to (I've had a few friends in IT back up that opinion too.) They want meetings; they want to know all about your business; they promise free copies of the software. What they absolutely will not do is give you a figure for how much it's going to cost to deploy the software onto x analysts' desktops and allow them to publish to a server. It's a shame, but Qlikview was rejected on those grounds, even though I loved the demo. Edit (22-1-13): Qlikview has moved to transparent pricing since this post was written (pointed out in comments below.) That's great to hear. Prices here. Initial impression? The product mix looks a little over-complicated and pricier than Tableau. I'm not sure if Qlikview is targeting larger, more complex deployments than we've built, but I wouldn't change the conclusions below, based on anything I've seen over the past year or so. Which brings me onto our winner. Tableau. Of course it's Tableau. Tableau seems to be a well kept secret for now among analysts who've done their homework, but I can't see it staying that way for long. It's a joy to use - simple, fast and powerful. The software's actually quite restrictive in the way that it will allow you to present data, but that's a very good thing. It's like a best-practice data visualisation engine. No you can't draw 3D pie charts. Dashboard creation is simple drag and drop and the best way I can describe it is as if somebody took Excel Pivot Tables, made them nice to use, made them look good and then gave you the ability to publish them to the web. Pricing is transparent (and very reasonable.) The desktop dashboard builder software has a simple cost per user. Not an ongoing licence fee, but a one-off cost, although you can pay for ongoing support if you want to. The server also has a one-off cost per user and that's it. No OEM nonsense and easy to work out pricing for scale, buy it once and do what you want with it. Perfect. Other dashboard vendors really need to take a leaf out of Tableau's book on pricing. It's so much easier to pitch the idea to management of investing in software when you've got a clear idea yourself of exactly what it will cost over the next three years. If the dashboards you build are a runaway success then how much is an extra five desktop licences and twenty server logins going to be? 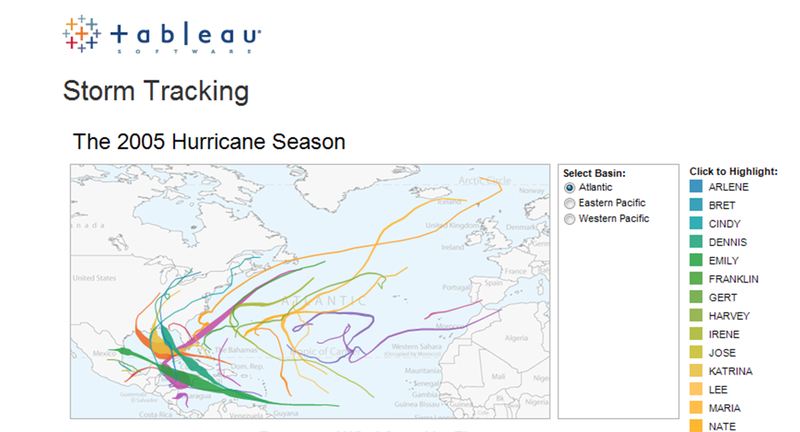 If you haven't tried Tableau yet, then give it a go. There's a free version for bloggers that's great for trying out some data vis and publishing it to the web. I feel like I'm giving away a trade secret here, but what the hell, you're going to hear about it from somewhere soon anyway. 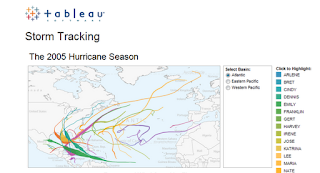 Tableau has very quickly become an essential analysis tool for me alongside Excel and if you try it, I'm willing to bet that it will be for you too. Great review and explanation! I came to the exact same conclusion. Tableau is slick. Great walkthrough of your thought process. I just came to the same conclusion myself- Tableau is surprisingly cheap for what you get. Terrific review - I couldn't agree more with your choice of Tableau. I believe it's the most versatile. It can be used for fairly sophisticated investigative analysis; as a proxy for Excel pivot tables and charts by less technical folks; and as a more robust enterprise dashboard reporting tool by the IT side of BI. You've presented all the possible solutions in a clear and concise manner, highlighting their particular strengths for different needs. I see some of these, such as Spotfire as being speciality options after an organization has reaped the economic and reporting rewards by implementing Tableau. Thanks again. In the interest of full disclosure, people show know that Andrei and his employer have a vested interest in Tableau. Take the comparison with a large grain of salt. For example, PowerPivot and xVelocity support are explicitly mentioned due to their Microsoft relationship. They do not mention Salesforce.com or SAP support, which might matter a lot to others. I wasn't sure whether to publish the above comment as it's about disclosure but posted anonymously. Included with a few reservations. Tableau certainly does have an enthusiastic core of support and I'm part of that, but wrote the review with no vested interests at all... shares would be nice though, as they're only going one way from here. If you visit Qlikview's site they openly publish pricing. I just visited qlikview.com to confirm, and it's true. Also, being in sale (SAP parner) it's hard to fault a salesforce that asks for a business case, access to power, etc, in my opion. Finally, I agree Tableau is a good product, and for a mid market account with a tiny budget, it makes sense in the short term. They didn't when I wrote this post, Qlikview moved to transparent pricing in Feb 2012. Too late to catch us. I'd stand by my comments on their salesforce - at least as they behaved a year or more ago. I don't mind advice but this was pure sales, presumably so they could work out what price the market would bear and then charge accordingly. I'm not interested in talking to salesmen about what I'm trying to build. Experts yes, but these guys weren't that, they were persistent, evasive in their answers and extremely annoying. - Custom interactions can be programmed into the system through scripts. - full data modeling capability is more robust for enterprise scale development. I hadn't but have just taken a quick look now. Comparing it to Tableau on first impressions, I'd say that more isn't necessarily better. There are very good reasons why you can't draw 3D charts, or add Speedometer dials to a Tableau dashboard - they didn't just forget to include them! As I said in the article, there are now LOADS of dashboard software providers. A quick rule of thumb for assessing all of this software is what's the example gallery like? Can you imagine actually using the examples as a weekly performance report, or are they just eye candy? Screens like this are purely eye candy. Nice review.Can anyone please let me know the pricing details of tools like Tableau,SpotFire,Pentaho,QlikView including their servers,webportals and annual maintenance cost and how many users can use?